At #Aste17, I started a list of all the Alaska Educators I could find on twitter. (Bill had a great list, which he had started on #Aste16, which I borrowed greatly from) At the end of the 2016-2017 school year, I tried to map out who was tweeting and what they were tweeting about. 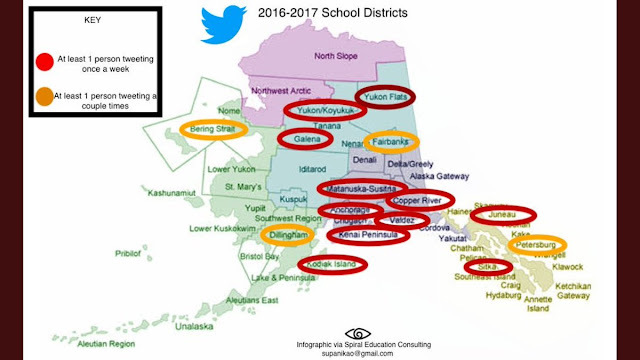 I followed some new Alaskan Educators who were attending #ISTE and as the 2017-2018 school year started up, the Alaska Cross Culture Conference revealed some new educators, the Alaska Principals Conference, #EDET628 and #SEACCR chat, RTI Conference, #Northtothefuture, #Akedchallenge and finally #ASTE18 and the #AKLA Conference. My list swelled from around 400 to almost 700. It became clear that we weren’t twitter shy, there were several of us who were sharing the amazing things that were going on in Alaska Classrooms. It was getting people organized, interacting, and collaborating…I tried to engage people through feedback and inviting them to the #Akedchat, but it seemed people would show up here and there without any real consistency. Others just blocked me from tagging them in my photo invitations. I met up with the groups of educators in person, trying to build that face-to-face and online connection. Twitter has become an invaluable resource to me because it shows me what is going on in the classrooms. The hopes, the fears, and the excitement… People constantly share what they think are good ideas and so, I learned to listen. The more people post, the more I see what they value or are interested in. I try to connect and share resources based on what they share. It has shaped me immensely. Being connected is amazing. I’m excited for the 2018-2019 School Year, Alaska is just getting started! I love that the STEM expert in Anchorage loves her robots and gardening! We have a wonderful organization (ASTE!) where its incredible volunteers put together an amazing yearly conference to showcase innovative and disruptive ideas! ...and Esports are coming to Alaska! My life is made better from knowing all of this is out there and I really encourage you to take the challenge and listen... and then share! We have so many amazing things happening, let others know!! As I try to figure out what this blog actually is, I have also started to share via #booksnaps what I have been reading. My latest read was the inevitable. I really liked this book because it shared a vision of what technology would look like in the future and gave a glimpse of things we could do to prepare for it. So what is my vision for Alaska? In-service has been transformed to include digital edcamps where grade or subject teachers from regional districts meet and share with each other on a more regular basis. Video conferencing allows music teacher in one area to reach a student in another who doesn’t have a music teacher. PE teachers and art teachers can also do the same. Theater classes have a technology class too to film and edit behind the scenes and final performance videos. As students travel for sports, hosting schools set up edcamps so that they can take advantage and learn during their visit. All High school students volunteer or intern to gain real world experience. Utilizing flex books and inquiry-based education, each student has a personalized learning plan which balances academic basics with their interests. Classrooms collaborate with other grades in their school or with others across the nation or globe. Place based field trips and guest speakers blend with virtual guest speakers and VR field trips. Using crowd funding or free apps/extensions, programs have access to a huge library of tools for their students to create with. District consortium share specialized tools such as drones or Star labs that travel from location to location to allow access to the most rural sites. There are no grades, each student also reflects on their learning daily through blogs or digital portfolios. Teachers track growth through formative or observation-based assessments. Dream with me... share what your vision of the future includes! I am taking an online class and one of the things that our latest module was about was about how to ask students good questions during read-alouds. So, I decided to help create a little one-pager to help those as they think of questions when hosting a chat. 5) Ask for examples: Encourage sharing of a pic, quote, or something that happened in class. Use tweetdeck, so that you have an example ready to go to MODEL for others what they can share. -You may have a mixed audience (Teacher, Admin, Coaches), so try to keep it open-ended. You don’t want to exclude people. - Start with some simple questions to get people initially engaged and then dig deeper. Don’t scare people off! Our state is a little twitter-shy, so I created this to-do list to help others who want to rise up and start these awesome conversation. So you want to host a twitter chat? TOPIC: Pick something that you are CURIOUS about or are PASSIONATE about! Blog about the chat and the great ideas that you got from it! I love the rise of the “teacher leaders” who can inspire from the classroom. This blog will be the first in a series of #followfriday tweets to help others see some amazing things that are happening and hopefully inspire them to try something! @SyrahPetersen (Anchorage) She got to go to #ISTE this year and has been tweeting great reflections and questions since! When you work looking at things from a larger perspective, analogies can really help. ...But if you are on a ferry boat, you have to make lots of small turns to get into your new direction. It can take a long time to change direction. Having at least a common goal can help unite everyone, but what happens when everyone has different goals/different destinations? Maybe a better analogy would be like a light house. The programs are all their own ships, but we are there as a lighthouse in the dark to help give guidance. We want those row boats to feel empowered because that’s where change can happen on the quickest scale.... Those captains have to be able to create the conditions for those row boats to have a common destination, but allowed to chart their own course. The captain has to be able to stay in communication with all those ships to make sure none get lost. The lighthouse can’t look out for just one lost row boat because they are focused on those bigger ships. Communication is so important because there is a sweeping undercurrent that can send ripples along everything. I love lemonade. I’ve always loved it. It’s sweet. It’s tart. It’s coolness on a hot summer day. It’s also my reminder to myself that each person has their own interests and passions and listening to their stories on the why they pick that is so revealing about where they have come from and where they are presently. Last year my word was participation and I really feel like I embraced that with my Twitter PLN. When I taught in Thailand and it was international week, I wanted to teach my students about America culture and what’s more American than a lemonade stand? That entrepreneurial spirit… go out and get what you dream of! The famous saying is “When life gives you lemons, you make lemonade” meaning that you should go with the flow and something sweet can come out of something tart. I feel like I’ve learned a lot more out of my failures than out of my successes. You start this by looking at that sour lemon of a failure and saying, “You weren’t a failure” and using it to create a learning experience. I had a hard couple of years and now I’m finally starting to add the sugar to those experiences and am slowly starting to transform them into part of a narrative that I can love. Lemonade is essentially 3 ingredients: Water, Sugar, and Lemons. But there isn’t a perfect recipe for it. It’s a lot of trial and error. -You can start with any of those ingredients. There isn’t a set order… I like to start by squeezing the lemons, but my mom starts by filling the water. 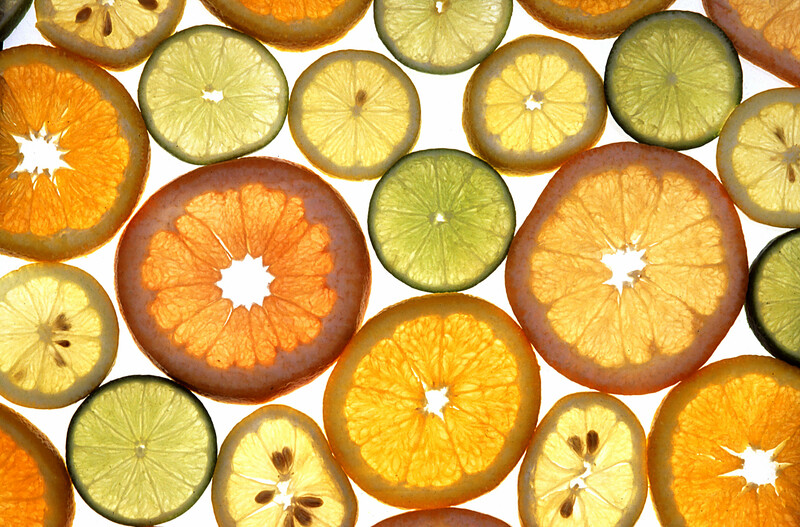 -You don’t have to use them precisely: You can use sparkling water instead of tap water, you can use agave, simple syrup, or honey instead of sugar, you can use sweet meyer lemons or even limes. -You test it and add more of what you feel it needs. I like my lemonade tart, so my ratio is different than someone who likes it sweet. -And the best part is, once you’ve finished that basic recipe: you can add to it! Ice, mint, rosemary, basil, raspberries, strawberries, peaches, watermelon… The possibilities are pretty endless. That recipe for lemonade is how I am trying to view education. There isn’t some magical recipe with precise steps. Everyone will do it a little differently and create it according to their needs. In my new role, I get to see the different recipes and share the different recipes in hopes to inspire people to go out and find what works for them. So here is my new blog: Administratove Lemonade. A little sweet, a little sour, but ultimately something that I love!